Chris Foss Trading Cards, #61-80 (1995) | 'TAIN'T THE MEAT… IT'S THE HUMANITY! 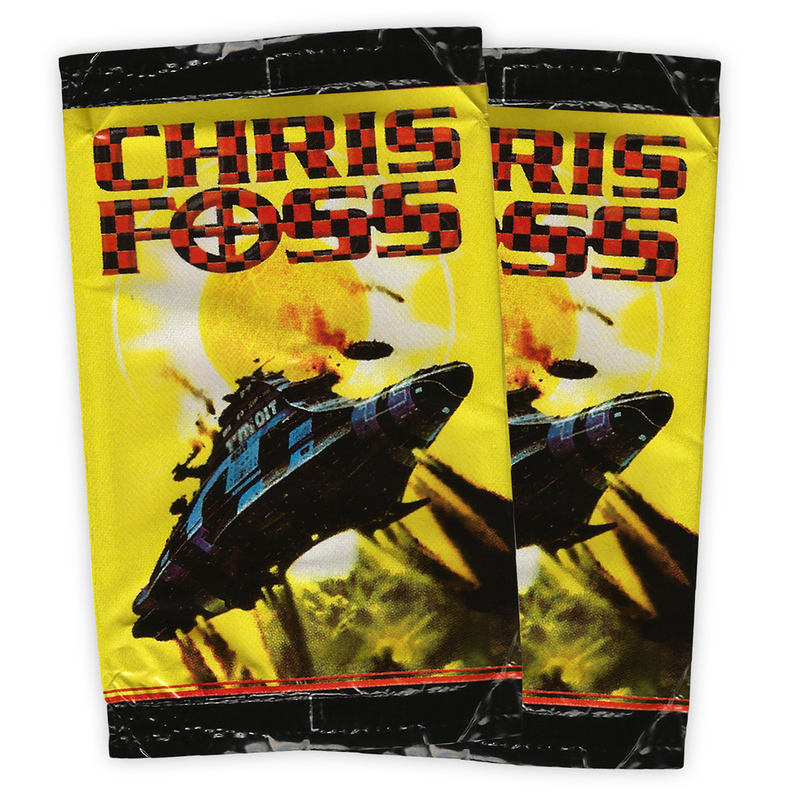 Chris Foss Fantasy Art Trading Cards were released by FPG in 1995. Here is the fourth batch of cards, #61-80. Released during the short lived trading card boom of the 1990’s this collection contained 90 full-colour base cards and five metallic chase cards (1:12), featuring paintings by the popular science fiction artist. Also included in the collection were ultra-rare autographed foil-stamped chase cards (limited to only 100 copies). Each card measured 90 x 65mm and shipped in foil packs of 10 cards. I’ve looked at cards #1-20 here, #21-40 here, and #41-60 here. There are some great paintings in this fourth batch of cards. Card #64 featured concept artwork from director Alejandro Jodorowsky’s failed attempt to adapt Frank Herbert’s Dune to the big screen in the mid-1970’s. 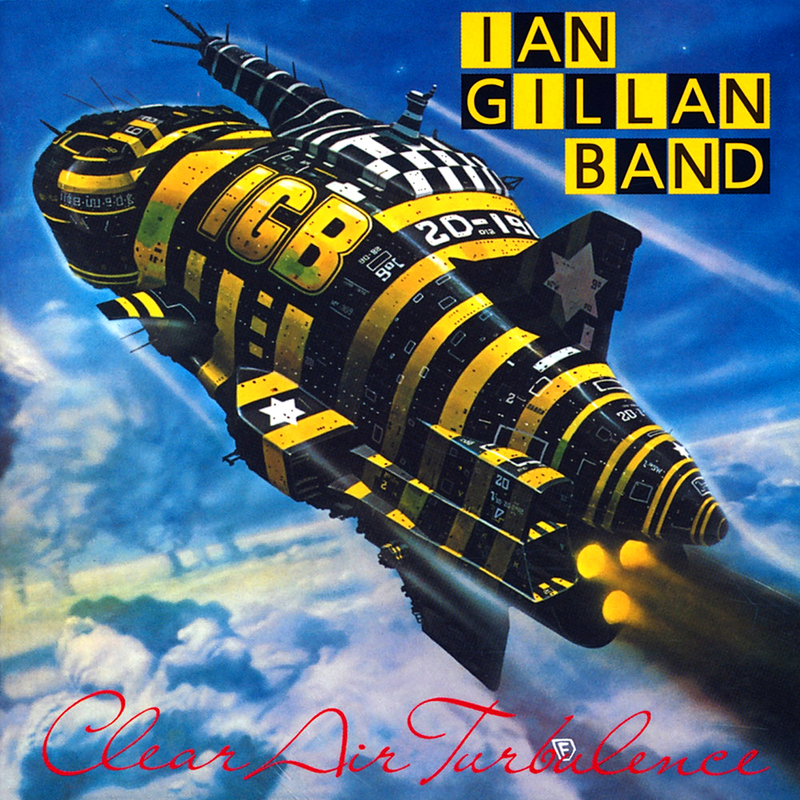 The painting from card #72 was commissioned as the wraparound cover to the Ian Gillan Band’s 1977 album Clear Air Turbulence. Card #76 featured a triptych used to illustrate the covers to three novels by author Ben Bova: Aliens; Exiles and Novella 3. And card #74 (Travelling Cities) featured an eye-catching illustration that appeared in both Esquire magazine and The Sunday Times. But as good as this collection is, it’s let down by the fictional captions on the reverse of each card. During his long career Foss has illustrated hundreds of book covers for some of the biggest names in science fiction. And apart from Alejandro Jodorowsky’s Dune he also worked as a concept artist on Ridley Scott’s Alien from 1979. His insights into the thought process that went into each painting, as well as the work involved, would have been fascinating. Sadly FPG wasted that opportunity and gave us these silly captions instead. Below is the fourth batch of cards from the Chris Foss Trading Card collection. I’ll post the last of the base cards (#81-90), as well as the five metallic cards, in the next week or so.